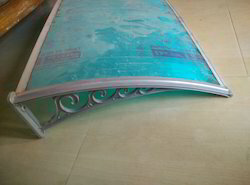 With the aid of our experienced team, we are devoted towards trading and supplying an exquisite range of Door Awning. We deals in Various Areas of Punjab, Chandigarh, Panchkula, Ambala, Zirakpur, Amritsar, Barnala, Bathinda, Faridkot, Fatehgarh Sahib, Ferozepur, Fazilka, Gurdaspur, Hoshiarpur, Jalandhar, Kapurthala, Ludhiana, Mansa, Moga, Muktsar, Patiala, Pathankot, Rupnagar, Mohali, Sangrur, Nawanshahr, Tarn Taran, Delhi, Delhi NCR, Gurgoan and Faridabad. Awnings Canopy are excellently designed to enhance your business image by illuminating or graphically embellishing. 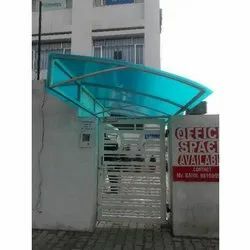 The Commercial Metal Awning is frequently used in various business outlets.